Let’s talk syrups, shall we? 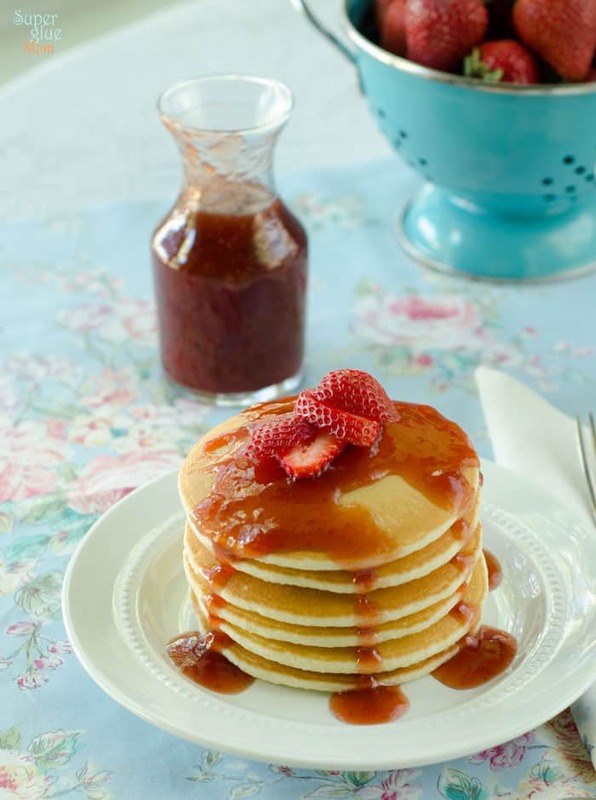 I love topping these gluten free pancakes with some homemade syrup. 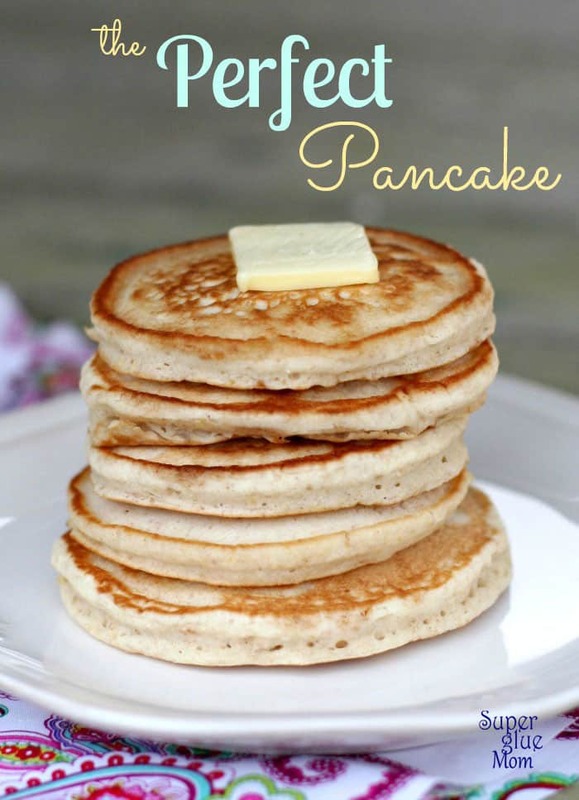 These recipes are gluten free and make the perfect topping to your tasty pancakes! 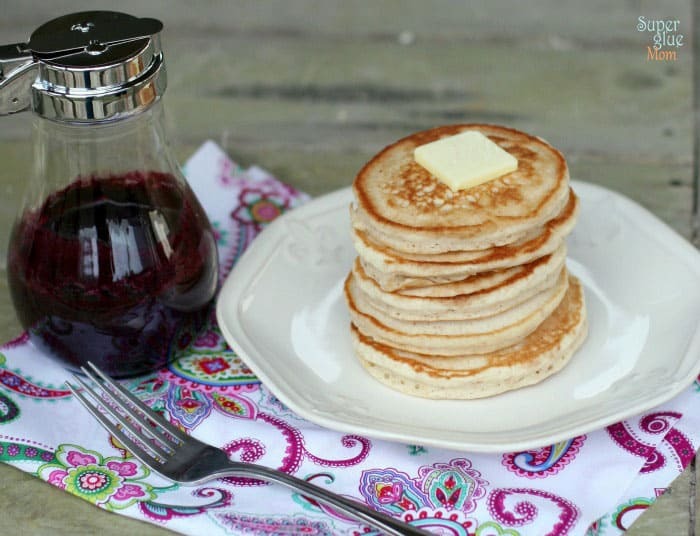 This blueberry syrup is the real deal, not like the fake stuff you get at the pancake house. I make it with fresh blueberries in the summer and switch over to frozen berries when not in season. 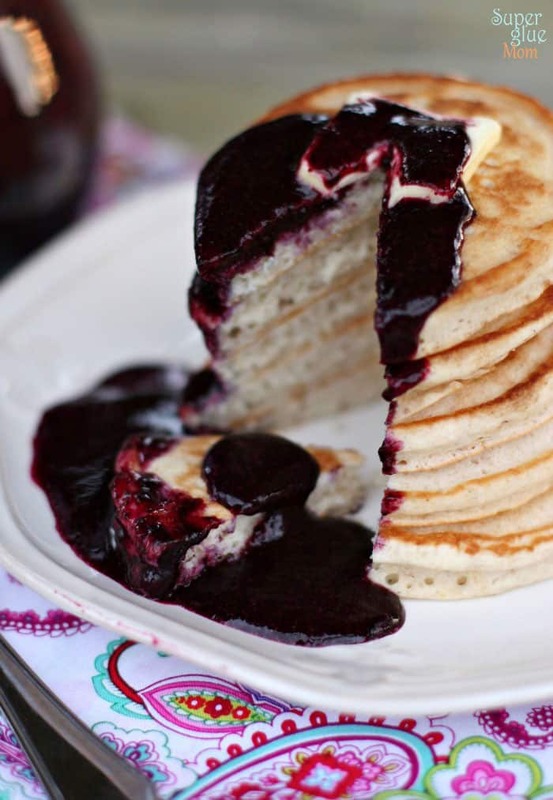 And yes, you can make the blueberry syrup gluten free too! 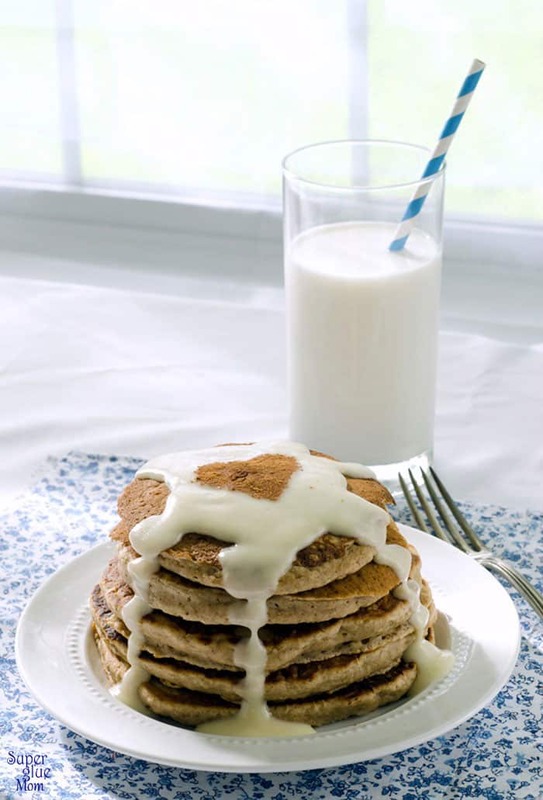 And to top it all off, these Cinnamon Roll Pancakes are incredible. They are all the thrill with none of the guilt. 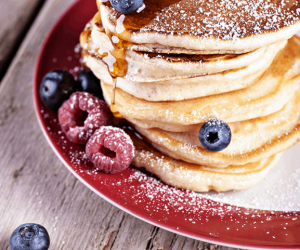 If guilt free, ultra-healthy pancakes is what you are looking for… the check out my Whole Wheat Pancakes Recipe. It’s an old one but a good one. In a separate bowl, combine maple syrup, vanilla, applesauce, and milk. Slowly mix in half of the liquid into dry bowl, stirring continuously, and the rest 1/4 cup at a time to avoid a runny batter (not all gluten free mixes are the same see note below). Mix until you get the lumps out of the batter. You don’t want it to be too thick or too runny. There’s a happy medium and 1 cup + 2-ish tablespoons should be just about right. 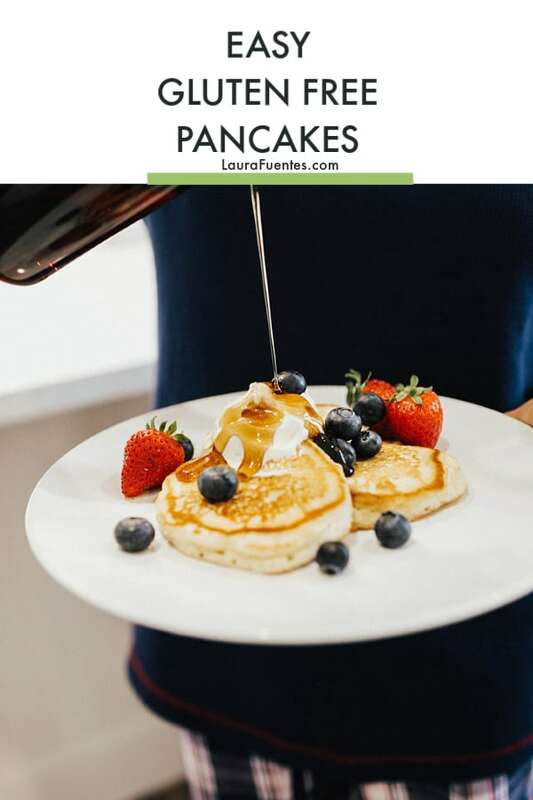 On a greased, heated griddle over medium heat (or pan on your stovetop), begin to cook pancakes about a 1/4 cup of the batter for each one.